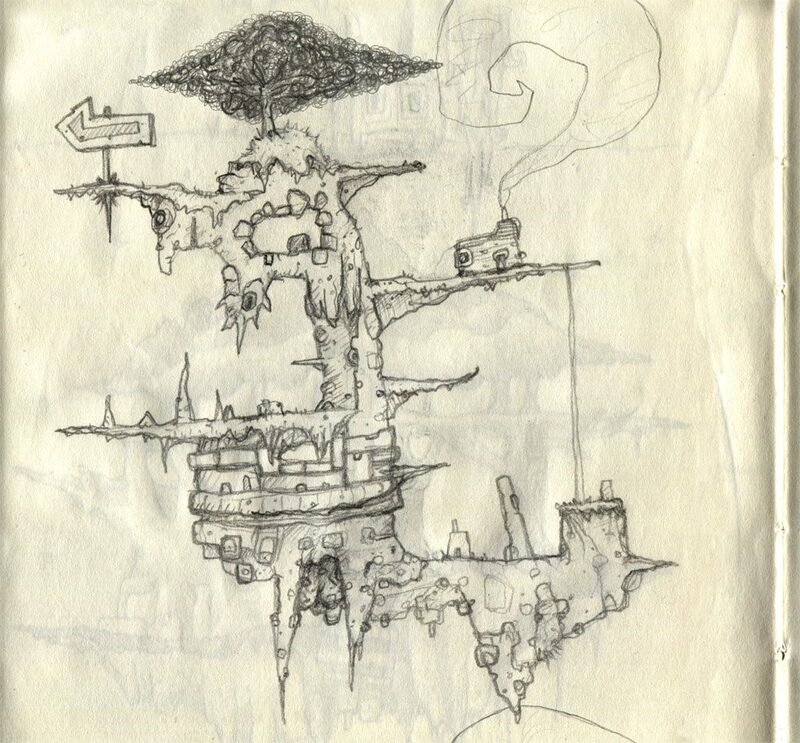 Here is a scan from a rough sketched drawing in a moleskin notebook. We have a few that are dotted about in the studio to capture ideas for parts of environments, platforms, objects and characters that we are pulling together for interactive apps and games. Being a simple sketch, we spruced it up a bit with some digital paint. We use a custom pencil and custom brushes in PhotoShop to retain the hand-made traditional art look. We have already created several prototype pencil-drawn games using a game engine we wrote a few years ago. We will get round to doing some basic screen capture compilation videos of these, as a special treat for you guys, maybe! 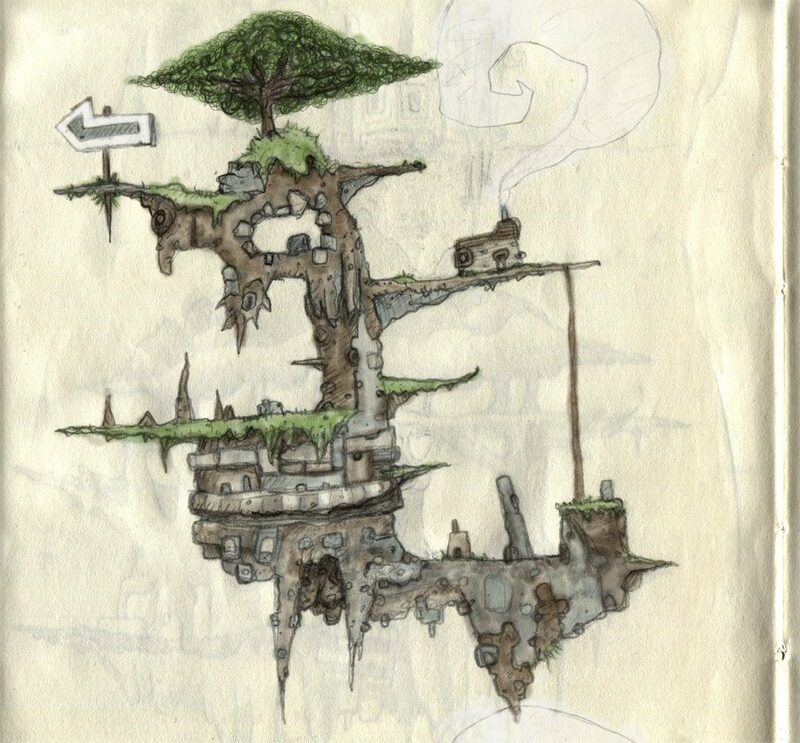 Here is a super-early demo screen capture video of the hand-drawn demo game level drawing from above. It’s very basic compared to what we are now working on, but sowed the seed for us to create a more epic project. The rusty acoustic guitar riff we played over the top was just to add a bit of atmosphere to the demo footage. Did you like our artwork?